If you’ve ever been to Pennsylvania, you’ve seen the rolling hills and beautiful scenery and marveled at its splendor. History has known this state as the perfect area for golf even in early days. The oldest continuously used course in America is located in Foxburg at Foxburg Country Club. Also, it is interesting to know that one of America’s greatest golfers, Arnold Palmer, is a Pennsylvanian. Many of his course designs may have influence from this Pennsylvania influence. Some fine American courses are found throughout the state. 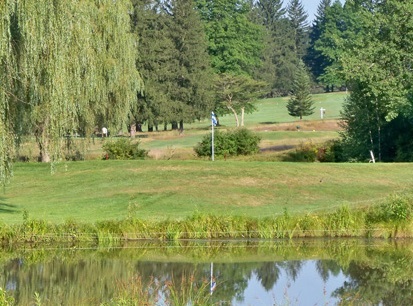 Try Scenic Valley Golf Club in Finleyville, near Pittsburgh, or Cobbs Creek located outside of Philadelphia. It is part of six municipal clubs found there. All over the state can be found many scenic clubs, so check out the possibilities!